We loved Jessie Riley’s playful Kiba Kiba series of books, created in conjunction with kids during arts workshops. Now Riley and her new publishing company Kitanie have taken the jump into the digital age with their first ever interactive coloring book: The Interactive Time of the Turtle Coloring Book. 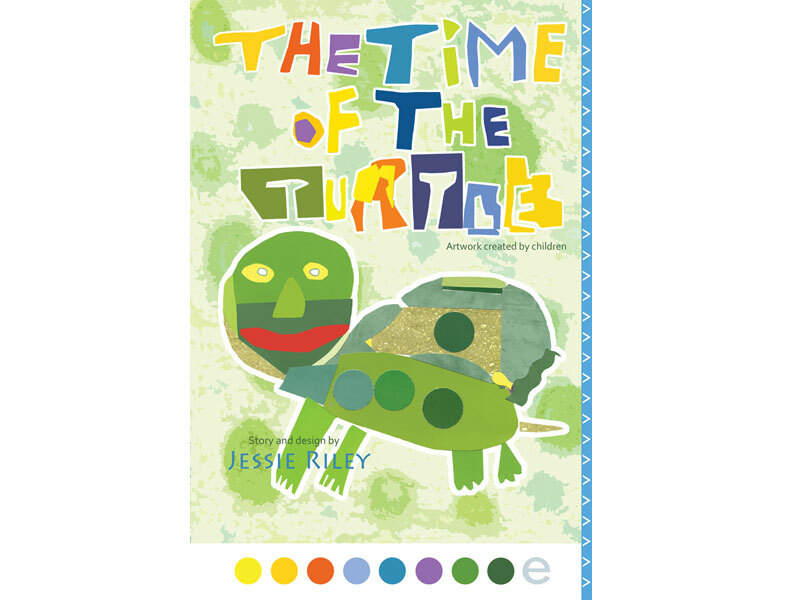 Available in the iBookstore (no separate apps needed), The Time of the Turtle lets kids choose the colors for the book’s illustrations as well as letting them draw their own self-portraits. We love that their creations can be saved as a picture and sent to proud grandparents and other relatives everywhere. 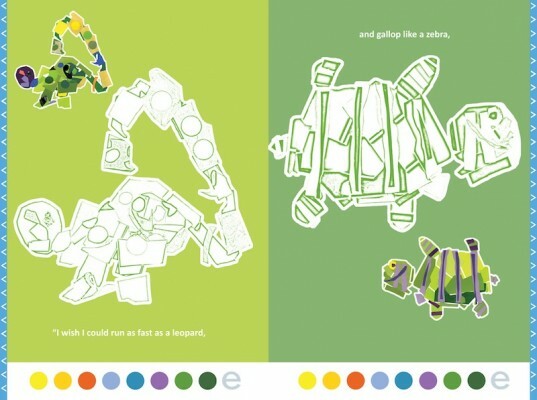 Riley and her books have always taken special care to bring about awareness of the earth and the environment in a child-friendly way, and The Time of the Turtle takes an even more personal approach. The book focuses on a turtle who wishes he was somebody else initially, but who learns to love himself for who he is. A digital and creative approach to teaching kids about self-acceptance — which lets them express themselves artistically? Looks like a picture-perfect activity to us! We loved�Jessie Riley�s playful Kiba Kiba series of books, created in conjunction with kids during arts workshops. Now Riley and her new publishing company Kitanie have taken the jump into the digital age with their first ever interactive coloring book: The Interactive Time of the Turtle Coloring Book. Available in the iBookstore (no separate apps needed), The Time of the Turtle lets kids choose the colors for the book�s illustrations as well as letting them draw their own self-portraits. We love that their creations can be saved as a picture and sent to proud grandparents and other relatives everywhere.